Why Choose Protex to Install XPEL Products? Is PPF Car Wash Friendly? How do I care for the PPF on my car? How is the visibility like from the inside out? Can we retint a window with damaged film? XPEL PPF is a thin, virtually invisible, urethane film. It is used to protect the leading edges of your vehicle, or any painted area you want to protect, from damage caused by rocks, gravel, sand, salt, insects, or any direct contact that can scratch, stain or chip paint. XPEL Technologies Corporation is the developer of the design access software we use to cut the PPF kits to fit specific vehicles. XPEL has also developed and manufacture their own brand of paint protection film. Their objective is to offer the very best product in the industry. When you see their products on your vehicle you will agree. We feel this is the very best product of its kind on the market. Protex is also the only business of its kind in the Kamloops area that is authorized by XPEL to install their products. Our goal is to be the best at what we do. No other shop in the city can offer the level of quality and professionalism that we have worked vary hard to create nor offer these industry leading products to ensure the customer is getting the best. Yes, it certainly is. It can be washed by hand, run through a regular car wash, or even pressure washed. We do however strongly advise that when pressure washing you should keep the nozzle about 2 feet away from the edges of the PPF film. The high pressure could cause lifting if your not careful and let it get too close. Installation times vary depending on your vehicle and the kits we are installing. We suggest you drop off your vehicle in the morning and we can have it done by the end of the day. We recommend that you wax the paint protection film with any liquid spray car wax to prevent it from getting dull. Wax should be applied at a minimum of once ever few months. Simply apply the wax to your entire vehicle to not only protect the film but your entire vehicles painted surfaces. Your car will have all moving windows and windows within a rubber seal removed. Patterns are then individually made to the size and shape of the glass pieces. For windows that are not removable, such as the rear window, we remove interior molding pieces, brake light fixtures, etc. in order to cover the glass entirely with the tint film. The windows are meticulously cleaned and prepared for tint application. The film is carefully placed and applied with the use of a soft rubber squeegee, removing all visible water (kind of like applying wallpaper). It is then detailed and checked for any imperfections. Once finished, your car windows look like a factory tinted window. There are five shades available using our range of car window film. They are Super light, light, medium, dark and Privacy, providing 75%, 40%, 28%, 15% and 8% visible light transmittance. These films have been chosen because they offer the best match to the factory look, and come with a manufactures written lifetime warranty. Obviously installation times vary on different types of cars, as do the prices. As an average, we would ask to have your vehicle for around 6 hours. We will however, ask for as long as it takes to complete the installation to our own high standards! Thus maintaining our good name, and hopefully receiving your approval and referrals. All our XPEL Supreme car window films are supplied with a written lifetime warranty, backed by the manufacturer, covering material and labour which remains good to the original purchaser. No. The only time that you may see defects with a professional installation is if it has taken physical damage such as scratching with hard metal objects, which might likely damage the glass too anyways, or if the film has been cleaned incorrectly with something abrasive or ammonia. The worst cases of bubbling and peeling are seen on bad tint jobs, such as Do It Yourselves or unscrupulous tint companies. The film will not interfere with your heated rear window. It will merely assist in heating a larger area of your window, and your heated rear elements will not interfere with the film, it will only help drying time initially by leaving it switched on. Visibility is very good when looking through our film. Our XPEL films are made up of neutral tones, therefore when you look through these films you get true colour perception (if you are looking at a white background it remains white). Colours are slightly distorted when looking through lower quality films. There are however benefits with regard to film and visibility, as it will reduce glare such as the sun getting in your eyes and glare from headlights at night, therefore reducing eye strain and making driving more comfortable and safe. When choosing the shade of window film to be applied to your car, we will ask you what you are looking to achieve. You will need to look at what colour interior and exterior you have, and the size and angles of the glass around your car. For example, if your car has a black interior and a white exterior then a medium shade film would look quite dark, whereas if your car has a light grey or white interior and a black exterior, then with a medium film it would look subtle. Whatever your requirements we will have the right option and advice for you. 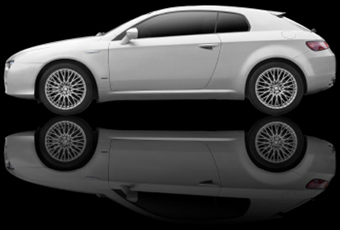 When tinting your car windows, all trims, windows and rubbers are removed completely when required. For example, a rear door quarter window with a rubber seal would need to be removed to ensure access and no light gaps. Inferior tint shops with low standards often take short cuts either by using an undersized piece of film leaving unsightly light gaps, or worse still, trimming back the inside edge of the rubber seal to ensure no light gaps, which compromises the security and condition of your car. (We prefer only to enhance it). Cleaning window film is in fact easier than cleaning glass, as the surface is much smoother. We recommend cleaning with a clean soft cloth, or clean paper towel for the best results. Any domestic window spray is fine. No cream abrasive or commercial cleaners containing ammonia should be used. Your up and down windows will require 2 days (manufactures suggestion) to cure before rolling them up & down. We recommend not cleaning your treated windows for up to 7 days. Do not apply suckers for at least 7 days. It is advised that you do not apply window stickers at all as this may cause damage upon the need of removal. The manufacturers advise a full 31 days of drying time before you should not expect to see any small amounts of water under the film, and for the film to be at its full strength. All film is porous so in time it will dry from the inside out. Film can be removed from your windows without causing any damage, we would however recommend that you have this done professionally to avoid any associated costly damage. Any professional tint shop would have the correct tools and chemicals to remove such stubborn adhesives. Retinting is now simply the same as starting fresh. From our own experience in learning to tint, we would advise you that it would cost thousands of dollars in film wastage and many hours spent with the need to be installing film on a daily basis before reaching an acceptable standard, let alone our standards. There is also a high risk of causing damage to your car which would leave you punishing yourself for days when you realize you have taken the most expensive option with results that you would not be satisfied with. *We are experienced in tinting many makes and models of vehicles and we ensure you a premium finish*. When tinting vehicle windows you need the correct environment. We will only complete installations at our fully equipped, clean workshop to ensure the best quality finish.